Blending your vision with your partner’s ideas and then adding in each of your parents/families can be a bit tricky. Let our local planners and coordinators assist you in bringing it all together. Whether you’re considering day-of or something with a little more guidance, planners are a service that most venues highly recommend, if not require, now-a-days. Work with one of our local event planners to help your wedding dreams become a reality or ask your venue for their preferred list to help make decision making easy. Selecting a right-hand man or woman to keep your schedule on track is great for couples as it allows them to breathe and know that everything is being taken care of. If you’re looking for someone to marry you and your partner, Page County’s ordained ministers and celebrants are able to assist you in legally binding your lives together in the eyes of the state. Whether you’re looking to elope at the courthouse or have a large white wedding at one of the venues that calls Luray-Page home, the officiants below can assist you with all your wedding needs. Professional wedding planner and coordinator that gives couples the opportunity to enjoy their wedding day with confidence and comfort. 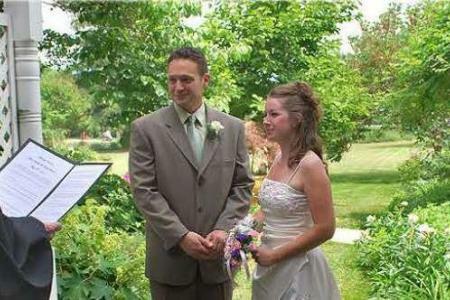 The list above is the county's list of certified officiants.